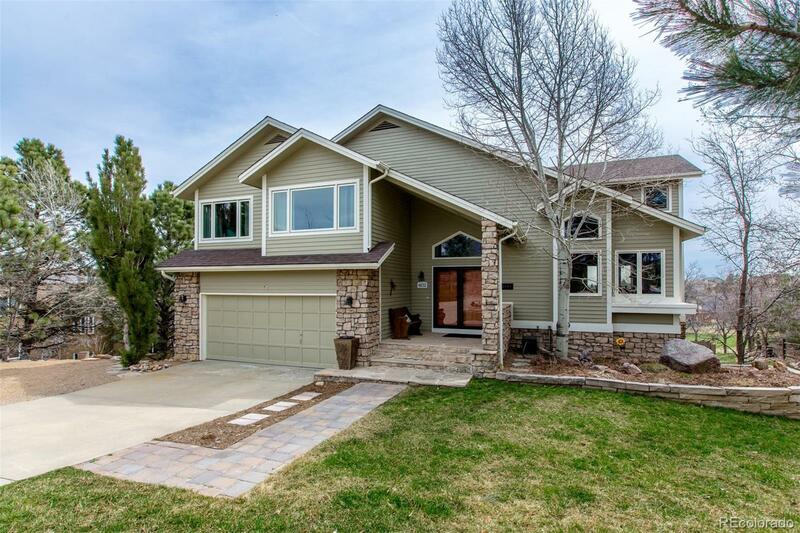 Bright and spacious multi-level home backing to the Lake Valley Golf Course. Enjoy the views from multiple decks and patios, perfect for entertaining. Many upgrades, newer kitchen and baths with a gorgeous master bath. Vaulted ceilings, large windows, full of light with a cozy wood burning fireplace in family room. Walk-out lower level to covered patio and hot tub. Beautiful stone tiered landscape walls and a stone fireside lounge. Neighborhood swimming lake, tennis and miles of trails.